Picture credit: A self-portrait taken during Ai Weiwei's arrest in Sichuan province (before he was beaten). 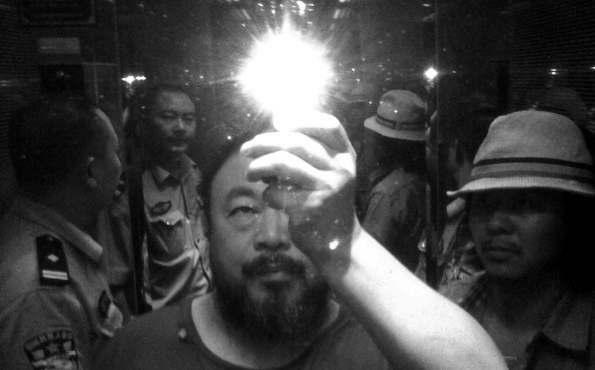 It is 5am and Ai Weiwei is in a hotel elevator with a policeman and a fellow activist. Video credit: Ai Weiwei, Never Sorry, a documentary directed by Alison Klayman. References: Ai Weiwei's Blog: Writings, Interviews and Digital Rants, 2006-2009 (MIT Press), edited and translated by Lee Ambrozy.